White chocolate ganache is nothing but pure chocolate melted with a generous amount of boiling fresh cream. This smooth airless chocolate cream makes a lot of things possible. A benefit of white chocolate ganache is that the high content of chocolate preserves the fresh cream so the final product can last in room temperature for a few days before events are celebrated. After a few hours of production it will set in the perfect working condition for masking, sandwiching, piping and decorating cakes. If refrigerated, ganache will set hard like butter. This provides a good condition to coat cakes with rolling fondant. It’s not recommend to whip white chocolate ganache due to crystallization and this may cause a grainy texture. Fruit puree reductions, mocha paste (instant coffee can be mixed with a small amount of water), praline or caramel can be added for different flavors. 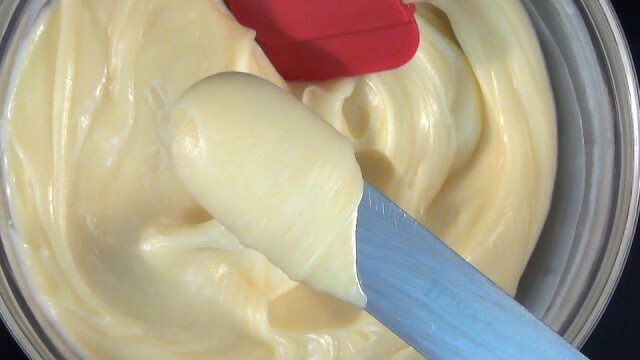 A 400	 1.7 cups Thickened Cream Cream is used as an ingredient in many foods, including ice cream, many sauces, soups, stews, puddings, and some custard bases, and is also used for cakes. Perfect for pouring, baking, whipping or adding the indulgent touch to your favourite recipes. 1	 MEASURE	 Weigh all ingredients. 2	 BOIL	 Heat and boil the cream. 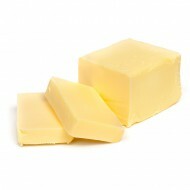 Switch off heat when the cream is at boiling point for a few seconds. You can put the chocolate pieces into the cream after switching off the heat or you can pour boiling cream on the chocolate pieces. Both will work the same however, pouring cream on to chocolate will probably be a little more secure against chocolate being burned at the bottom of the pot if not whisked quickly. The risk is that the mix may get cold before the chocolate is completely melted. Cooking chocolate will achieve nice ganache but couvertures with pure cocoa butter will create a better tasting ganache. 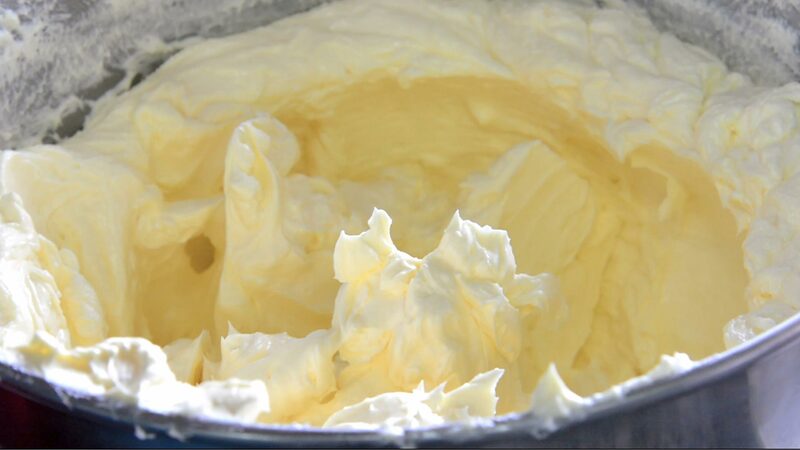 Thickened cream could be replaced with fresh cream. After used, always scrape down the sides in the bowl and cover with cling foil. Avoid water dripping on to surface from just-washed hands or wet towels. Keep it in a glass bowl or microwave safe plastic containers so you can reheat and soften in a microwave. Hello Mr. Yener!!! I am absolutely impressed by all of your videos, they are so awesome and you explain everything so good that even beginners can make a perfect result. So I thought I may dare to ask you for any help with my little problem. My daughter wants me to bake her wedding cake in August this year. So as much as I am glad about her trust in me that I can succeed this cake, it also makes me feel nervous. 1. The Ganache that you use for masking, is it the same as you use for the filling of a cake. And is it the recipe from above? 2. 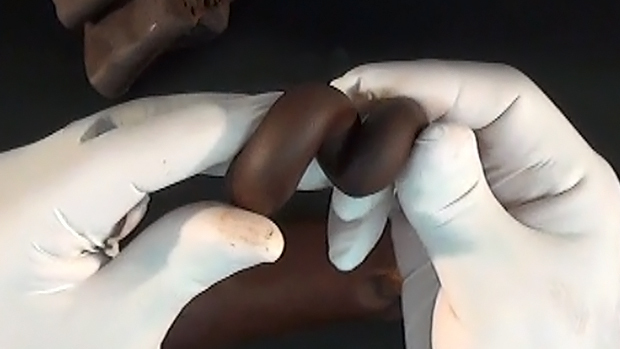 How do you prepare the chocolate that you use with the brush in that special Video where you first brush the chocolate and then add the Ganache and then put you the ring into the ring? 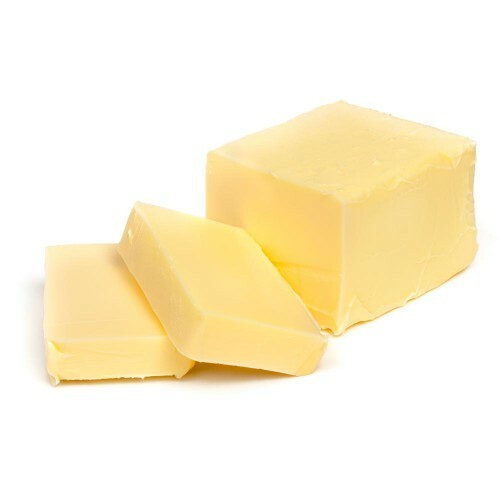 Is it only a melted couverture or do you add something like butter or cream? 3. One of the cakes I will bake, will be a Sacher cake (I am Austrian so it is a duty to have this cake included in a wedding cake) but using an appricot jam intstead, which is usual, I want to fill it with an appricot compote thicken by a vanilla pudding powder. So now I am wondering if this kind of masking from this video works to keep the wetness inside. Or do you think the other way which you show in the other video would be better? 4. Last but not least, I of course have watched your video about writing on a cake. Is this also only a melted couverture? I once tried to write on a cake and unfortunately the chocolate line tore off all the time, so I think I had the wrong recipe. Can you please tell me the secret or what I have done wrong. 1. Yes, I share only one ganache recipe from our website. 2. Prepare rings, not into each other, on top of each other / place a plastic sheet on board, follow with rings and the plastic stripe in the ring. Brush chocolate on the base touching to corner follow brushing the wall. Let set / The chocolate is pure compound no other additions. 3. Yes, it is. make sure Apricot is only in between layers not on the side, so that means you have to use ganache to stick the sponge to the outer skin. 4. I do not understand the question. I use also pure Compound chocolate with a few drops of alcohol to make the chocolate not too runny. I love Vienna I love Kertner Strasse I was there twice. That is all till your next question. Good luck Helga. Thank you so much for your reply, it helps me a lot. I tried the white ganache when I baked the Sacher Torte last weekend for the Easter weekend. I filled it with the appricots and the result was pretty good. We just recognized the cake got even better after a few days. It was more juicy then. Just the fondant changed a bit to a sticky surface. Is this a normal process, or can I avoid this anyhow? But I think I have past the first test for the weeding cake. I only need to get faster, it seems I act like a snail. 😀 Do you think it could even work if I don’t mask it with a ganache but just with a normal chocolate overglace. Like some melted compound choclate with some butter added. Then let the glace get hard and then coat with the Fondant? I think this would be much faster than to mask it. Hope you also had a nice Easter Weekend. Really thanks again for your help and hope you will allow me to ask you in future some question. Okay, I guess you have kept the cake in the fridge that is why become sticky. It is a good idea to coat the cake with chocolate but no butter becouse of 300 km. Please watch these three video and we talk about again. Thank you so much for this excellent tutorial, Chef Yener! I just made the white chocolate ganache with 35% cream and callebaut chocolate to mask my cakes in the morning. It turned out so rich and smooth! Hi Chef. Thank you for all these wonderful recipes. I am making a volcano cake for my son’s birthday. I already made it with your mud cake recipe and covered it with your chocolate ganache (which was so easy to work). Next I need to make some larva flowing out of the volcano. Can i colour your white ganache recipe with red colour to achieve this? If not do u have any suggestions? Hello Chief. Thank you so much for your lessons. Hi Chef. Loving all of your tutorials. I will be making a 3 tier wedding cake in December. Bottom tier 10″ chocolate biscuit, middle tier 8″ rich fruit, top tier 6″ lemon madeira. 6″tall. Icing with ivory fondant. I need to have the cake iced and ready by 24th Dec for wedding 29th. Can you advise the best masking medium that will seal and keep for that length of time without deterioration. Will white chocolate ganache be suitable or would it melt before the big day? Also could you give me a guide to quantities of ganache. Many thanks in advance. I’m a hobbyist baker, and am helping my RMT make a wedding cake for her Aunt who has noooo budget (I’ll be compensated with RMT massages for my time, and my RMT is buying all the supplies, & I have all the equipment from my previous Wilton cake decorating class purchases). I want to put genache under the fondant instead of apricot glaze, so that those that don’t like fondant can remove it and still have a very nice silky and delicious “icing” for their cake. So I went to Youtube and found Yerners Way videos. OMG! Thank you for posting those!!! I actually was so entrenched that I upset my bf by watching hours upon hours of your videos over an entire Saturday, and then starting again the following morning. I’ve made some notes, but certainly not enough, so I will re-watch a couple of the videos that I saved in my favourites. But to help me save some time, I have 2 questions I hope you can answer for me. First of all, the cake will be 3 tiers on plates w/4 columns supporting each. The bottom cake Chocolate, the center White, and the top to be Carrot. So I thought genache for all 3, Choc for bottom, and (now that I see your recipe for:) white genache to cover the other 2; and all 3 cakes to be covered with white marshmallow fondant (another recipe online that I’ve made in the past). Decorated with purple ribbon wrapped at the base of each cake, and Royal icing flowers in purple shades scattered over the top cake to surround the cake topper. I also want to have the silver balls in the side of the center cake in criss-cross pattern every inch, 3 rows. 1st question, do i just press them into the side of the fondant, or do i need to “fasten” them with some royal icing? In your “Perfect Masking Technique” video, you did 2 different ratio mixtures of the dark chocolate. 1:2 for the inside, and 1:3 for the covering. My second question: Would the ratios for white genache be the same?? or 1:3 for inside and 1:4 for covering because it’s a softer product? Of course, the wedding is the first weekend in August, the hottest and most humid time of the year in Ontario Canada. Your video on transporting with frozen, paper-wrapped water bottles wired in the box corners is ingenious! Thanks for your help! Again, the videos are so awesome, thank you so much for sharing your experience!! You’re a fine gentleman in my book for doing so. btw i only want to use the “perfect masking technique” for the top cake that will be 3 layers. The Bottom and middle cakes will both be 2 layers, and be masked using one of your other techniques (from your “How to mask a cake tutorial – three different techniques”). Hi Teresa, Royal icing to glue silver balls is okay but will be not so clean. I would use a dot of syrup or dot of sloppy royal icing. for the white ganache 1:4 yes it will work better. Hello Chef! First of all would like to thank you so much for all your videos! I’ve found accidentally you on YouTube just couple months ago and so glad I did! You are such a genius! Love every single video!! I’ve learned from you so many tricks! You are doing such a great thing by sharing your experience with people! Thank you lots and lots for that! And I have a little question.. Recently I’ve started to work in a hot and very humid climate. I’ve learned from you a great trick about To glaze isomalt ( before it’s sticking was a big problem) so thanks! And now I have a very important for me order and suddenly my fondant on top of ganache started to melt!! Why?? What is going on? It never was anything like this before? Can it be because of ganache melts underneath of fondant? Maybe I shell start to put marzipan before fondant? Will it help do you think? Thank you. i live in canada we only have 35% cream (whipping cream). 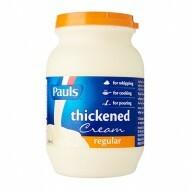 is this the same as thicken cream in your receipe? I am in Canada also and I just used Whipping cream and it turned out perfect, and yummy. It gives you a large amount so I suggest cutting the recipe in half if you don’t need a lot. Hello Chef Yener, I´ve just subscribed to your tutorials and I am enjoying them very much. Today, I made your white chocolate mud cake in preparation for a wedding. I could not wait and had a little piece. I love the taste! My question is, your recipe for the white chocolate ganache as shown (1600 grams) will be enough for filling (sandwiching) and masking the 10″ mud cake?. I will make a 12″, 10″ and 6″ cake. Thank you! I would go twice that recipe. Please watch my you tube video of masking cakes . I did the masking for the 1st time the other day and LOVE it, I had a couple mistakes that I was able to fix easy, but WOW that is a lot better than having to crumb coat etc…. Hi, i love all your tutorials! i have a question? i live in canada we only have 35% cream (whipping cream). 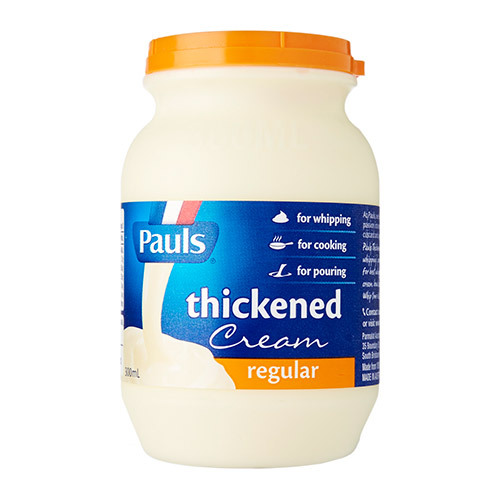 is this the same as thicken cream in your receipe? Yes you can use white ganache to cover the cake but sugar transfer will have oil stain. I would suggest to use white chocolate under the transfer. Best you melt the instant coffee in to cream when it is boiling. But If you have ready white chocolate ganache. Take a spoon or two Nescafe powder add just enough water( maybe less than a tea spoon) to make a paste. When you add this in to ganache it may appears little split. Place in microwave few second .Mix. Done..How much Nescafe up to you..
Hi Chef Yener, How are you? I’m still loving your tutorials. I have a question. I want to purchase Couverture chocolate on line. Now, what cocoa % can I get to make white and dark chocolate ganache? Thank you in advance. Hi Grisel I wouldn’t worry about the amount of cocoa butter in couverture for ganache because you are not tempering . Average couverture will do a good job. I make mine with Valrhona Carraibe-I believe it is around 64% cocoa and delicious. I add a bit of sugar to taste. There is no cocoa in white chocolate-I am speaking of regular chocolate ganache. I have been using Guittards Vanilla apeels and never get the right consistency, is this because there is not cocoa in the apeels? I will look for the couveture chocolate but I have so much of the Guittard I would like to be able to use it for this purpose (works great for candy clay). Thank you Chef Yeners for your help. I have never made white chocolate ganache before. What white chocolate do you recommend I use to achieve a good tasting white chocolate ganache? Thanks in Advance.